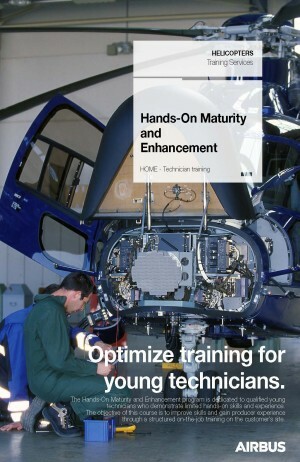 The Hands-On Maturity and Enhancement program is dedicated to qualified young technicians who demonstrate limited hands-on skills and experience for a minimum period of 2 months. The objective of this phase is to improve skills and gain producer experience through a structured on-the-job training on customer's site. Applicants must have successfully completed their type rating.